The artificial grass turf market is on an upward swing. It’s projected to grow by at least 13% from 2017-2021, the driving force being replacements of natural grass for sporting venues and landscaping. Advances in artificial grass technology, along with reduced maintenance costs and water usage, have made artificial grass turf an increasingly attractive option. Artificial grass turf has come a long way since its 1966 introduction at the Houston Astrodome. It began as a solution for domed sporting venues, where the shade made it impractical to grow real grass. Since then, new innovations have allowed for a wide range of designs, with more natural colors and textures. With drastically improved aesthetics, landscape architects and designers have taken notice and expanded the market into people’s yards, gardens, playgrounds, and school yards. Artificial grass can be customized for a purpose. This allows sporting organizations to request very specific characteristics. Sports like football, golf, field hockey, or soccer rely on having uniform, predictable surfaces. Large organizations, like FIFA, MLB, PGA Tour, and the NFL have approved artificial grass turf for their use, which is expected to be one of the main drivers of growth in upcoming years. An added bonus for sports is the built-in drainage systems in artificial grass. It lets water drain into the underlying soil, preventing the grass from becoming water-logged and ruining the sporting venue. This leads to fewer canceled games and events. While the initial cost of artificial grass turf is higher than natural grass, the long-term savings in maintenance will make it worthwhile. This is especially true for the desert Southwest, where keeping grass alive is a huge challenge. This makes artificial grass in the Phoenix area an ideal solution. Natural grass needs frequent watering, mowing, re-seeding, fertilizing, aerating, weeding, and is prone to diseases and infestations. That’s not to say artificial turf is completely maintenance-free. It will need occasional raking to remove debris, and to re-shape any areas that have become matted down from use. The grass can get matted down by things like a small kid’s pool, a garden hose, or laying around on it for long periods of time. Brushing it back up fixes this. If you have pets, it will also need to be rinsed down and disinfected now and then to remove waste. With artificial grass turf, you save the cost of having to buy a lawnmower, and keep it filled with gas. There’s a savings if you hire landscapers to tend your lawn. Now, they only have to take care of the remaining plants. You can also focus your energy on those remaining plants rather than spending all your time on the lawn. In areas with extreme climates like the desert Southwest, many find it environmentally irresponsible to keep a natural lawn, given the amount of water needed to keep it green and alive. Drought conditions are common, and only expected to get worse over the course of the next century. Drought, combined with an increasing population will eventually drive up water prices and increase calls for water conservation. Using 44,000 gallons of water per year just to keep your grass green will become less feasible. In the city of Phoenix, up to 70% of water in homes is used for outdoor irrigation. Even with that much water, there’s no guarantee the grass will maintain its color during a scorching summer. Unattractive brown and dead patches will develop. An artificial lawn can be depended on to maintain its color over a long period of time. With homeowners in metro Phoenix being encouraged to remove their lawns by offering rebates, it’s common now to find yards in cities like Scottsdale with artificial grass. It keeps a beautiful, consistent look, regardless of the weather. Reduction in water usage is an obvious benefit of artificial grass turf, but there are others. Since mowing is not needed, there are no more emissions from gas-powered mowers. A properly installed artificial grass lawn will also help keep weeds under control. This means a reduction or elimination in herbicide use. Herbicides and fertilizers leach into the earth, polluting the groundwater. There is an increase in heat absorption in artificial grass that has some people concerned. It cools off very quickly, and can be mitigated with strategic shading. Overall, it’s a small downside for most. 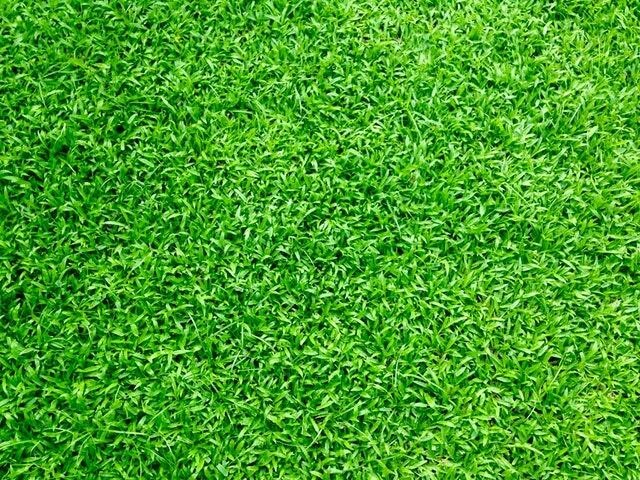 Many people who desire green lawns have an emotional connection to them. They bring a feeling of calm, serenity, and of home. Many Arizonans are transplants from states where natural grass is more plentiful and practical. They want to have that little piece of their former home, but it needs to be reconciled with the realities of the Southwest environment. An artificial lawn can be an ideal solution to fulfill that desire. A certain amount of stress is no longer present if you don’t have to worry about everything that a natural grass lawn entails. For the most part, you can just sit back and enjoy an artificial lawn. Reduction in stress is good for your overall well-being. Since artificial grass doesn’t require sunlight or watering, it opens itself up to a wide array of design possibilities that people are beginning to take notice of. It can be used in indoor spaces, such as office green spaces, lobbies, and pet hotels. It can also be used in small courtyard spaces, rooftops, and apartment patios or balconies. The possibilities are just beginning to be explored. The overall low-maintenance costs, benefits to the environment, and visual attractiveness of artificial grass turf will continue to drive the trend toward replacing natural grass. Even beyond that, designers will discover new possibilities and continue to push the uses of artificial grass. If you are looking to replace your natural grass with artificial turf, make sure to turn to a reputable supplier, such as Sunburst Landscaping.